Thames & Hudson, 9780500519288, 352pp. The Gramophone Company and The Columbia Phonograph Company merged in 1931 to become EMI: the Apple of its day. 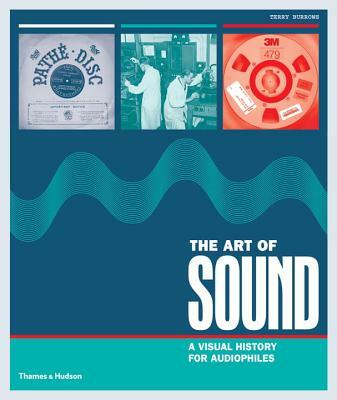 Organized chronologically, this richly illustrated resource tells the incredible story of the development of sound recording throughout the acoustic era (1877-1925), the electrical era (1925-45), the magnetic era (1945-75), and the digital era (1975-present), and it showcases specially commissioned photography of the beautiful, iconic, and rarely seen objects housed within the diverse collections of the EMI Archive Trust. Recording equipment, playback devices, catalogues, artist files, records, master tapes, radios, and televisions are all here, accompanied by obsessively detailed specifications and intriguing archival photographs. Interspersed with the images, in-depth texts tell the complete stories of the pioneering advances in the evolution of sound technology, from the invention of the "Gramophone" method to the development of electronic signal amplifiers, and from the arrival of magnetic tape recording to the advent of CDs and the dawn of the digital age.